Heading west on I-70 through Kansas, travelers can experience surprising changes as eastern deciduous forests give way first to tallgrass, then shortgrass prairie interspersed with canyonlands. But beyond the highway there's even more to discover: picturesque farms, river valleys, and gypsum bluffs that make the Sunflower State a natural wonderland boasting expansive beauty and rich biological diversity. 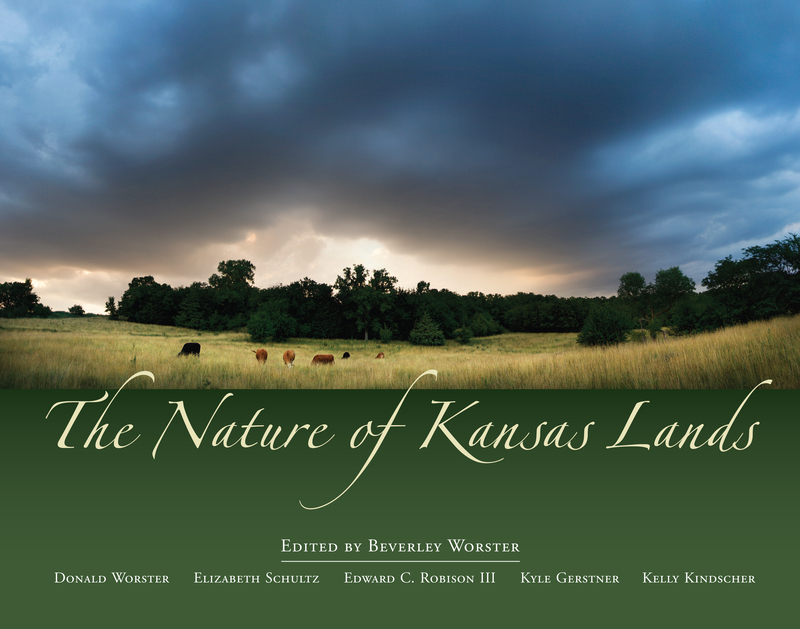 This book testifies to Kansas's natural abundance through spectacular color photography and sumptuous prose. Sponsored by the Kansas Land Trust, The Nature of Kansas Lands focuses on the world of nature that awaits us just beyond our fences: waterways, woodlands, grasslands, farmlands, and high plains. It's been carefully crafted to encourage residents and visitors alike to explore backcountry roads, learn more about native flora and wildlife, and generally open their eyes to the state's wild beauty and ecological complexity. Turn the pages of this book and you'll immediately be struck by 46 stunning color landscapes by Edward Robison, capturing scenes as serene as a wetlands fog or a night star hanging over the prairie—or as dramatic as a threatening storm. Meanwhile, more than two dozen wildlife close-ups by Kyle Gerstner bring you face-to-face with prairie chickens and bison, red-tailed hawks and collared lizards. Seventeen evocative essays by Elizabeth Schultz lead you on forays into Kansas's diverse landscapes, interpreting not only the nature of the land but also the nature found on it. Sidebars by biologist Kelly Kindscher complement Schultz's impressionism with a bevy of facts about wildlife and weather, forests and farming. This gorgeous book reveals a side of life in Kansas that beckons us to explore, enjoy, and learn more about the state's rich natural heritage. Beverley Worster is president of the Kansas Land Trust. Donald Worster is author of the award-winning The Dust Bowl and other books in environmental history. Elizabeth Schultz is professor emeritus of English at the University of Kansas and a columnist for the Kansas Land Trust's Stewardship Notes. Kelly Kindscher is associate scientist for the Kansas Biological Survey. Edward C. Robison III is the photographer author of The Kansas Landscape I and II. Kyle Gerstner's photographs have appeared in Kansas!, Birding Magazine, America 24/7, and other publications.